Ramblings on things directly and tangentially related to comic books. Items with asterisks (*) are pre-order items. 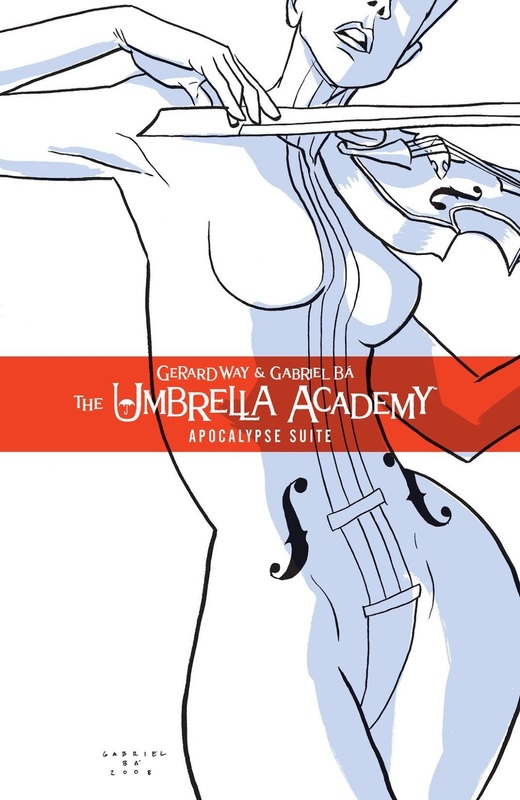 Returning to the top spot after a few weeks off is The Umbrella Academy, Vol. 1. Volume 2 also make a jump up to the #3 spot, though the Kindle editions and the third volume (in pre-order) are nowhere to be seen this week. So ??? Several new entires on the top fifth chart this week, led by the Kindle edition of the 18th My Hero Academia volume. Other debuts this week include the 2nd volume of Mob Psycho 100; oh no, a collection of Alex Morris's Webcomic Name; Revenge of the Sis, the seventh Star Wars: Jedi Academy entry; Box Brown's Cannabis: The Illegalization of Weed in America; the Kindle edition of The Walking Dead #190; and pre-orders for Neil Gaiman's Snow, Glass, Apples and new volumes of Brandon Sanderson's White Sand and Attack on Titan. 1. Poor. Bad. Incompetence in writing, art, or both. Not of interest to anyone other than the creators' relatives. 2. Okay. If you're a big fan of the genre and/or the creators you may find this of interest. Otherwise you should pass. 3. Good. Solid entertainment. If you're a fan of the genre and/or creators involved you will probably like this. 4. Great. Must reading for fans of the genre and/or creators, and probably worthwhile for others as well. 5. Excellent. The crème de la crème of comics art. Should be read by anyone with an interest in comics, and probably by those who think they have no interest as well. Just When You Least Expect It! Best of Most of Blog THIS, Pal!